Enterprise is a grossly over capitalised modified Farr40 skippered by Capt. Kirke. De-masted in early 2017 the boat was re-furbished and fitted with a Halls Spar IRC mast which combined with a Hugh Wellbourn redesigned keel and bow sprit make a competitive off shore package. 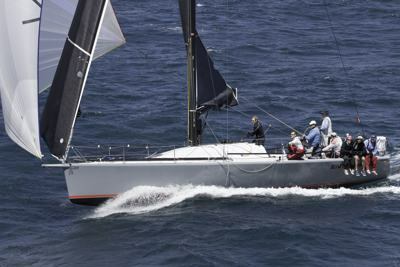 Despite being de-masted in the WA 2016/17 season Enterprise was 1st IRC in FSC Success Cup, 1st IRC in Offshore Cup, 3rd overall in the Farrawa Cup, 3rd IRC in Valmadre and 2nd IRC in the inaugural Geraldton to Denham race. With Enterprise relocated to Sydney the team plans to do the Audi Centre Sydney Blue Water Pointscore culminating in the Rolex Sydney Hobart Yacht Race and then head home via Geelong & Port Lincoln. An all Western Australian crew combines a range of experience with Hughesy having 13 Hobart's through to first timers including the Capt. whose aim is to go where no WA crew has gone before.